With the governor’s recent budget address including more than 50 tolls expected on all major highways across the state, this event will allow area residents to share their concerns, get their questions answered, and discuss potential alternatives. For additional information or questions, contact Representatives Carney and France at (800) 842-1423, and Senator Formica at (800) 842-1421. An interview with Michael Phelps is featured in ‘Angst,’ which will be shown at Lyme-Old Lyme Middle School tomorrow evening. Admission is free and the public is welcome. Lyme’s Youth Service Bureau (LYSB) is sparking a community conversation about anxiety through a screening of a brand-new documentary, Angst: Raising Awareness Around Anxiety. On Tuesday, April 9, at 6:30 p.m., LYSB will host a special screening of the documentary at the Lyme-Old Lyme Middle School auditorium to open up a dialogue between local families, community leaders and experts. The event will feature a viewing of the 56-minute film, followed by an informative panel discussion. Indieflix producers Scilla Andreen and Karin Gornick have one goal: to start a global conversation and raise awareness around anxiety. Through candid interviews, they utilize the power of film to tell the stories of many kids and teens who discuss their anxiety and its impacts on their lives and relationships, as well as how they’ve found solutions and hope. 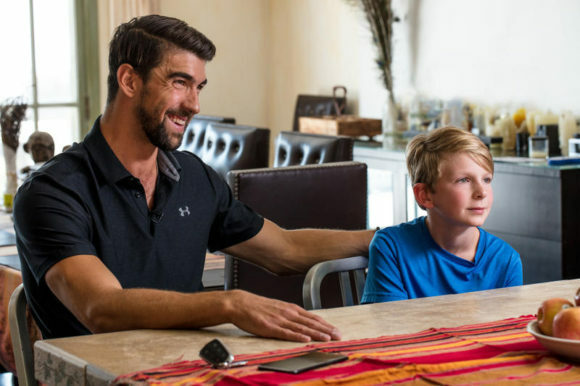 The film also includes a special interview with Olympian Michael Phelps, a mental health advocate and one of the greatest athletes of all-time. In addition, the documentary provides discussions with mental health experts about the causes of anxiety and its sociological effects, along with the help, resources and tools available to address the condition. Part of the beauty of this film is the openness of the children and young adults featured; for some of them, the Angst project marks the first time they are publicly sharing their experiences with anxiety. Our hope is that their candidness and bravery will inspire our community to do the same. Anxiety disorders are the most common mental health challenge in the U.S., impacting 54 percent of females and 46 percent of males, with age seven being the median age of onset, according to the World Health Organization. While anxiety disorders are highly treatable, only one-third of those suffering receive treatment. Everyone involved in the development of Angst has a personal experience with anxiety – from the producers to the interviewees. Lymes’ Youth Service Bureau Director Mary Seidner commented, “We have seen a steady increase in the number of inquiries from parents whose children are experiencing issues with anxiety. 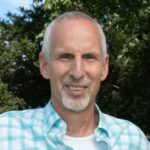 We hope the Angst documentary will open a discussion in our community and give parents tools to help their children manage anxiety.” In addition to the community screening on April 9, LYSB is sponsoring a screening during the school day for Lyme-Old Lyme Middle School on April 11 as part of the school’s Wellness Day. Angst can be viewed in screenings held in schools and communities and is not available online. This program is free and open to the public, and sponsored by LYSB’s Timothy P. Buckley Memorial Fund. 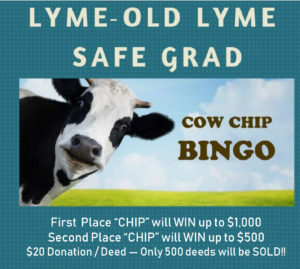 Safe Grad Committee Hosts Cow Chip Raffle Today! Buy your deed and on the day of the event squares will be assigned by a random drawing. There will be a huge bingo board created at the event so participants can see the location of their square. Now the fun part comes as the cow determines the winner! The game is over when the cow places its “chip” on what becomes the winning number. Prize amount will be determined by total deeds sold. Participants do not have to be present to win. To purchase tickets or for further information, contact Beth Cote at BethCote@sbcglobal.net or 860-460-6901 or Tracy McGlinchey at TracyMcGlinchey@comcast.net or 860-227-2131. ‘The New Consort’ in concert. 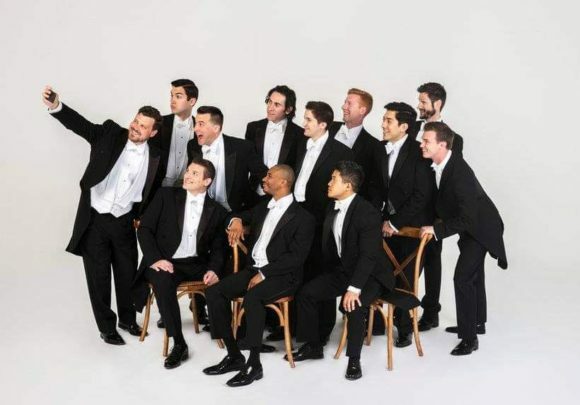 On Saturday, April 6, Saint Ann’s Parish in Old Lyme presents a concert by nationally-acclaimed vocal ensemble The New Consort, directed by baritone and Lyme native Brian Mummert. The performance, which is part of the Live@SaintAnn’s concert series, will begin at 4 p.m., with doors opening at 3:30 p.m. A reception will follow the performance, to which all guests are welcome. 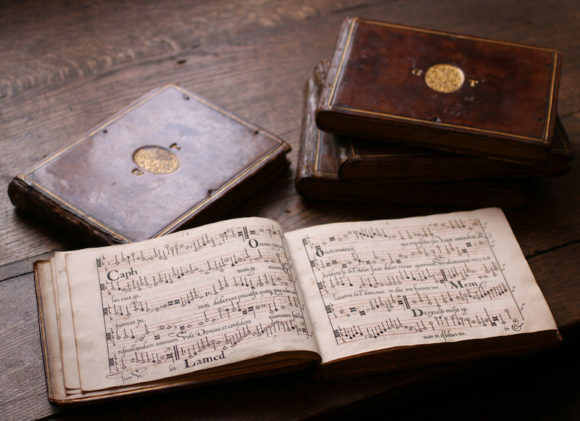 The professional quintet will present Subtler Than Light: Music of the Dow Partbooks, a concert exploring the music written during the reign of Elizabeth I of England. These works have been immortalized by 16th century calligrapher Robert Dow in the Dow Partbooks: a set of manuscripts, each containing only the musical line of the singer reading from it, which represent some of the most important works of the Tudor era. Preserved within these books, one finds a snapshot of exemplary artists struggling to make sense of the world through the lens of their Christian faith; from Robert White’s Lamentations to William Byrd’s Laetentur coeli, these Elizabethan masters endeavor to capture the scope of human emotion. Music from the Dow Partbooks, pictured above, forms the basis of Saturday’s concert. Winners of the American Prize in Chamber Music, The New Consort was founded in 2015 and has quickly made embracing stylistic contrasts one of its hallmarks. 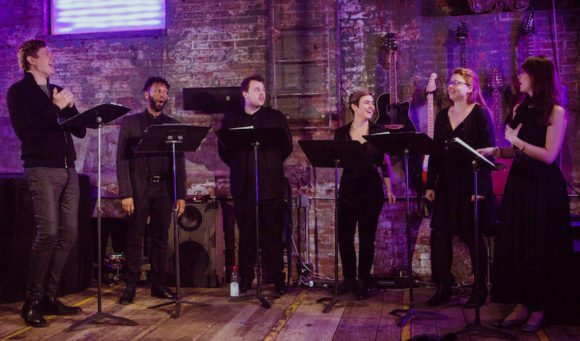 Musical variety is an integral part of the ensemble’s identity: from Renaissance polyphony to contemporary and non-classical works, nothing is off-limits. By embracing contrasts and drawing diverse works into conversation, The New Consort attracts new audiences to classical music and encourages them to forge connections with unfamiliar genres of musical expression. The ensemble has appeared in venues including Trinity College, Cambridge; The Walters Art Museum’s First Fridays series; The Bach Store, an NYC pop-up concert hall; High Hopes’ Music Under the Stars (CT); Spectrum NYC; and at churches and schools throughout the Northeast. Members of The New Consort have appeared as soloists and conductors with some of the world’s best-respected ensembles from Carnegie Hall to Kuala Lumpur, but relish the opportunity that the ensemble presents to collaborate as chamber musicians. Admission to the concert is a suggested donation of $20 in advance and $30 at the door, with a $10 senior/student discount; tickets are available for purchase at bit.ly/partbooks or by calling 917-740-9694. At the reception after the performance, guests are encouraged to examine facsimiles of the Partbooks and meet the performers. Saint Ann’s is an Episcopal parish in Old Lyme, Conn., that invites and welcomes all visitors to this outstanding musical event. Live@SaintAnn’s is a concert series organized by the Music Committee of Saint Ann’s Church whose mission is to enrich the community and introduce visitors to the parish. The church is located at 82 Shore Road (Rte. 156), two miles from Exit 70 on I-95. Parking is adjacent to the church. For more information on The New Consort, visit www.newconsort.org. For information about the parish, contact Kathy Rowe at 860-434-1621, via email at office@saintannsoldlyme.org, or visit Saint Ann’s online at www.saintannsoldlyme.org. 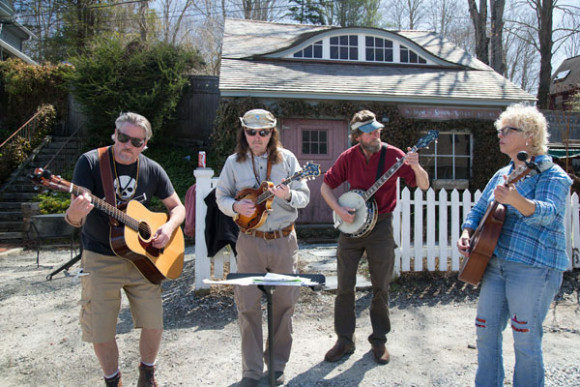 The First Congregational Church of Old Lyme (FCCOL) has announced that News Orleans musicians Tom McDermott and Ned Sublette will perform a free public concert at 6 p.m., Saturday, April 6, in the FCCOL Meetinghouse, to benefit the church’s Immigration Assistance Fund. Doors will open at 5:30 p.m.; seating will be on a first-come, first-served basis. The concert will be followed by a free pizza dinner held in the Fellowship Hall supplied by the Pizza Corner restaurant in New Britain, which is owned and operated by Malik Naveed bin Rehman and Zahida Altaf, two local residents who sought sanctuary at FCCOL and later received a temporary stay of deportation allowing them to pursue their efforts to obtain legal status in the U.S. Admission to both the concert and dinner is free, but donations will be welcomed during a free will offering. All proceeds from the evening will go towards funding the church’s efforts to help immigrants like Malik and Zahida, and the Torres family from Waterbury. Earlier this year, the church announced it was working with immigration experts to return Glenda Cardena Caballero to her husband Miguel Torres while her deportation case winds its way through the immigration appeals process. Last August, Miguel and their two children Nathaly (11) and Keneth (7) – all of whom are U.S. citizens – watched helplessly as Glenda was taken from them by ICE, placed on an airplane and deported to Honduras. Glenda had been in the US since 2005; she had complied with all of ICE’s directives; and her case was under appeal in the court system. Despite following immigration rules and regulations, ICE agents deported her suddenly and arbitrarily, leaving her family bereft and heartbroken. The church’s goal is to bring Glenda home to her family in the U.S. while her case continues to wind its way through the appeals process. McDermott is an internationally recognized pianist and composer, and a fixture in the world of New Orleans music. His work was featured in the HBO series “Treme” – where he played himself several times throughout the series. He has released 17 albums, including 90 original songs – in styles ranging from jazz to Brazilian choro, to ragtime, to swing, to classical compositions. Mcdermott has played Carnegie Hall, the 92nd Street Y, most states in America and a couple dozen countries abroad. He’s been reviewed a half-dozen times by the “New York Times,” as well as the “Wall Street Journal,” “Rolling Stone” and other media; and has lectured at Harvard on New Orleans, American music and his unique house. His music label, Qbadisc, releases Cuban music in the US. In 2006, Willie Nelson released Sublette’s song “Cowboys Are Frequently, Secretly Fond of Each Other” in the wake of the success of “Brokeback Mountain.” For the past several years, Sublette has organized and led “Postmambo” tours of Cuba and Haiti, exploring the intersections of music, dance and ritual, and how those expressions have shaped our world. 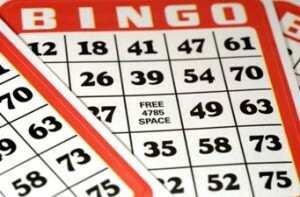 On Saturday, April 6, the Lyme-Old Lyme Junior Women’s Club is sponsoring a Bingo Evening with cash and other valuable prizes galore at the Hamburg Fire House, 213 Hamburg Rd. in Lyme. All proceeds will benefit the Lyme Ambulance Association, which, apart from Lyme, is also the first responder to calls in the lower portion of East Haddam and provides Mutual Aid to both East Haddam and Old Lyme. Doors open at 5:30 p.m. and play starts at 6 p.m. Drinks and snacks will be provided. The event is BYOB. Tickets are $20 per person for 10 game and $1 or $2 for specials. Pre-registration earns you an extra game! For tickets and questions, call Beverly at 860-434-5667. UPDATED: The date of the referendum was incorrect in our original article. We apologize for the error. At their meeting on April 1, the Old Lyme Board of Selectmen settled on Tuesday, April 16, to hold a Special Town Meeting to announce the 2018 Citizen of the Year. The announcement, which is normally made at the end of January, had to be postponed this year. To consider and act on a proposal for the Town of Old Lyme to add 200 s.f. of Town-owned land to the area it is currently leasing out at the Boughton Road Fire Station at 189 Boston Post Road, Old Lyme, CT., to allow for an additional antenna to be installed on the cell tower now on the site and to make room for supporting equipment to be kept/ installed there. Also on April 1, at the Public Hearing on Region #18’s 2019-20 proposed budget, the Lyme-Old Lyme Schools Board of Education set the date for the referendum on the budget as Tuesday, May, 7, with the District Budget Meeting the evening before on Monday, May 6, in the Center School Board of Education Conference Room at 6:30 p.m.
All residents of Lyme and Old Lyme, who are age 18 or over and US citizens, are eligible to vote in the referendum. Polls will be open from 6 a.m. to 8 p.m.at Lyme Town Hall for Lyme residents and Cross Lane Firehouse for Old Lyme residents. State Senator Norm Needleman (D-33rd) and State Representatives Devin Carney (R-23rd) and Jesse MacLachlan (R-) will hold a Community Conversation event with the public this evening, Wednesday, April 3. The event is scheduled to be held from 6:30 to 7:30 p.m. at Westbrook Town Hall’s Multimedia Room, located at 866 Boston Post Rd. in Westbrook. 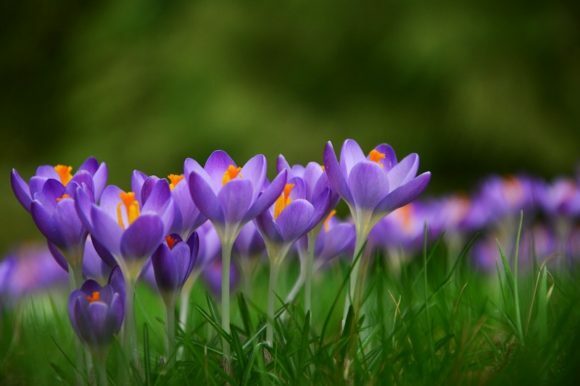 Child & Family Agency’s Lyme/Old Lyme Auxiliary invites current and prospective new members — and anyone who wants to learn about the Agency’s work — to its Spring Meeting on Wednesday, April 3, at a member’s home in Old Lyme. All are welcome to come and learn more about Child & Family Agency and find out how the Lyme/Old Lyme Auxiliary supports the agency’s work. New members are always welcome to join the Lyme/Old Lyme Auxiliary and help with their various fundraising events—from the Polar Express and the Cookie Walk during the Holidays, to the Annual Sale in the Spring, and the biennial Lyme/Old Lyme Garden Tour in June. You are free to give as much time as your schedule allows. The Auxiliary’s Spring Meeting begins at 7 p.m. 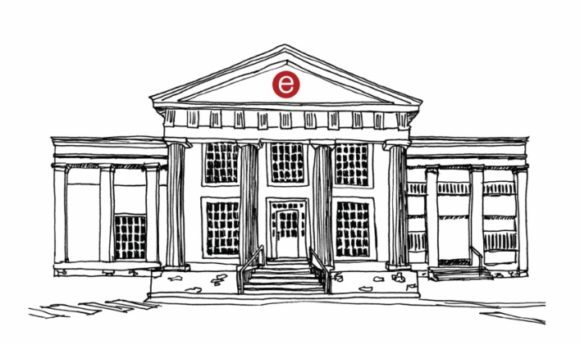 Enjoy light refreshments, meet the Agency’s new CEO, and hear about their upcoming activities. E-mail cfa.lolauxiliary@gmail.com for directions and details, or call Jill Pilgrim at 860-434-8943. Child & Family Agency of Southeastern Connecticut is a private, nonprofit organization whose mission is to nurture children and families to develop their strengths through service, partnership, and advocacy. Programs address both the educational and health-care needs of area children and, where helpful, their families. With offices in New London, Essex, and Groton, and a professional staff of 170, Child & Family Agency is the largest nonprofit children’s service provider in southeastern Connecticut. Agency funding comes from a variety of state and private sources, with the Auxiliaries raising critical unrestricted funds. Volunteers and supporters are always welcome. For more information, visit www.childandfamilyagency.org. All photos courtesy of Cheryl Poirier. 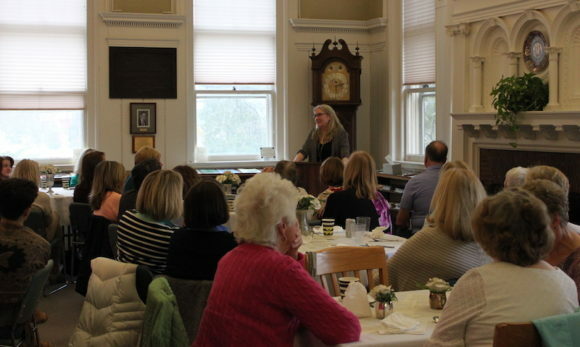 New York Times best-selling author and Old Lyme resident Luanne Rice, pictured above standing, was the guest speaker yesterday at a sold-out luncheon held at the Old Lyme Phoebe Griffin Noyes Library. 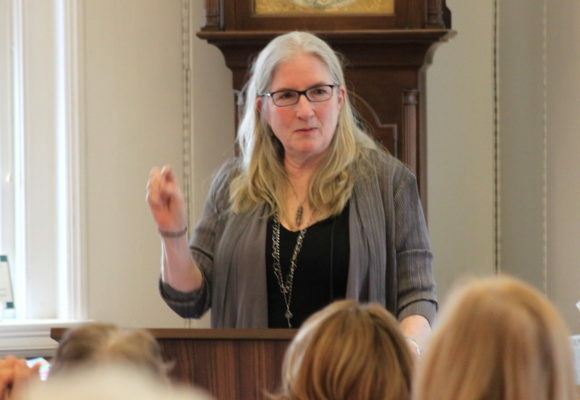 Rice captivated her audience with stories of her life in Old Lyme where she vacationed as a child and then subsequently became a full-time resident. 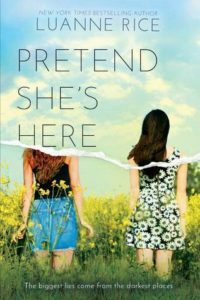 The event highlighted her newly-released book, Pretend She’s Here, which is already drawing universal praise. 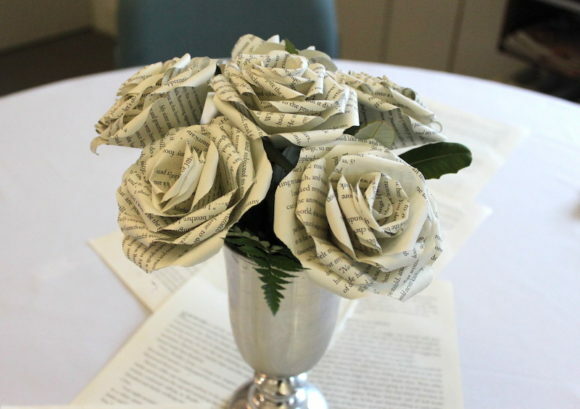 The tables for the delicious lunch catered by Olive Oyl’s of Essex were decorated with the wonderful origami roses, pictured above, which were created from book pages. 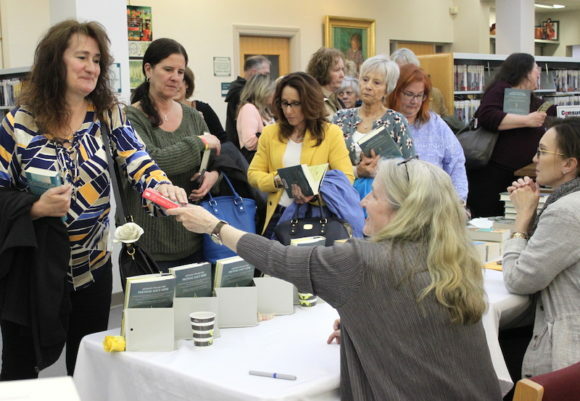 … but Luanne took the time to engage with each customer, which is one of the trademarks of her character, making her such a popular resident of Old Lyme and gracious supporter of her hometown library — the Old Lyme-Phoebe Griffin Noyes. The Region 18 Board of Education (BOE) hosts a District Budget Hearing this evening at 6:30 p.m. in the BOE Conference Room in Center School. On Feb. 6, the Region 18 BOE approved a $35,084,758 budget for the 2019-2020 school year. This proposed budget represents a 2.29 percent increase over the prior year. The main program improvements are the Pre-K expansion, 1:1 technology expansion for K-12, updated Next Generation Science Standards materials and enhanced security. The major facility projects in the Operating Budget are the replacement of three tennis courts ($225K), classrooms for the Pre-K expansion ($180K), partial redesign and carpet replacement of the Middle School Media Center ($45K), and carpet replacement in Lyme Consolidated School ($12K.) These projects total $462K. The proposed installation of a solar electric system, which is part of the non-operating budget, will be funded by the purchase of a power agreement. Certified salaries at $13.8 million comprise 39.9 percent of the budget while non-certified salaries at $3.2 million account for 9.8 percent. The BOE will set the date for the referendum on the budget at the end of the hearing. Residents of both Old Lyme and Lyme are eligible to vote in the referendum, which in order to pass, must achieve a simple majority of the combined vote of both towns. The Bowerbird owner, Chris Kitchings (right) presents a donation check from their 2018 gift-wrap program to Roger Tory Peterson Estuary Center Founding Director, Eleanor Robinson. 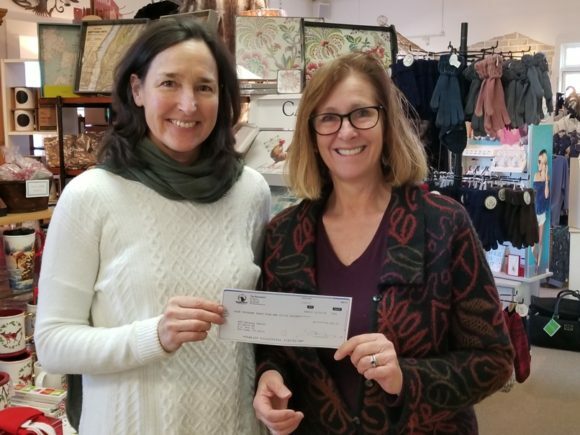 The Bowerbird of Old Lyme has selected as the recipient of the proceeds from their 2019 gift-wrap program East Street Arts. This non-profit arts organization (www.eaststreetartsnh.org) offers art-based employment opportunities for people of all abilities. The Bowerbird donation program runs from Nov. 1, 2018 through Oct. 31, 2019. 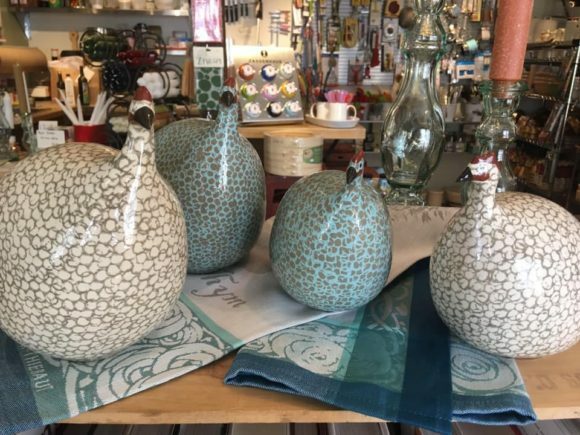 The Bowerbird in Old Lyme recently wrapped up their 2018 gift-wrapping campaign to raise funds for the Roger Tory Peterson Estuary Center located in Old Lyme. A check in the amount of $4044.00 representing 2,894 packages wrapped was presented to RTPEC Founding Director Eleanor Robinson. The Bowerbird charges a nominal fee for gift-wrapping purchases and donates 50 percent to local non-profit organizations. The Bowerbird pioneered ‘cause’ marketing when they created their gift wrap donation program in 1992. In the past 25 years, The Bowerbird has donated over $91,000 to 31 statewide and local non- profits proving that small businesses can make a difference. For a complete listing of past recipients, visit www.thebowerbird.com. 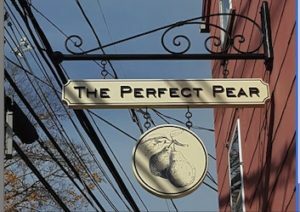 The Bowerbird is located at 46 Halls Rd., Old Lyme, CT. The Old Lyme Phoebe Griffin Noyes Library hosts New York Times best-selling author and Old Lyme resident Luanne Rice at a luncheon today from 1 to 3 p.m. at the library. All tickets for this event were sold out within days of its announcement, so Lyme Street residents can expect plenty of activity at the start and end of the luncheon in the area of the library. Luanne will talk about books, writing, life and inspiration in Old Lyme—everything that makes it so special here. She is the author of 34 novels that have been translated into 24 languages. The author of The Lemon Orchard, Dream Country, The Secret Language of Sisters and others, Rice’s books often center on love, family, nature and the sea. In 2002, Connecticut College awarded Rice an honorary degree and invited her to donate her papers to the college’s Special Collections Library. She has also received an honorary doctorate of humane letters from St. Joseph College in West Hartford, Conn. 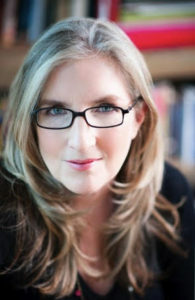 In June 2014, she received the 2014 Connecticut Governor’s Arts Award in the Literary Arts category for excellence and lifetime achievement as a literary artist. Christoper Plummer, actor, and Tim Prentice, sculptor, were also celebrated, and Rice was delighted to share the moment with them. 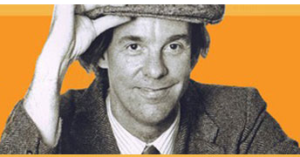 Several of Rice’s novels have been adapted for television, including Crazy in Love for TNT, Blue Moon for CBS, Follow the Stars Home and Silver Bells for the Hallmark Hall of Fame, and Beach Girls for a mini-series on Lifetime. Rice contributed a monologue to Motherhood Out Loud ,a play that premiered at Hartford Stage Company and was performed Off-Broadway and at the Geffen Playhouse in Los Angeles. Rice, an avid environmentalist, is thrilled to be a creative affiliate of The Safina Center. 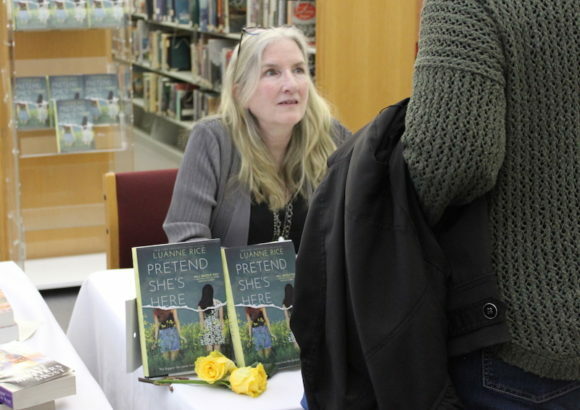 Copies of the her latest book, Pretend She’s Here, and other select titles will be available for purchase and signing. Tickets at $30 per person are on sale at this link. Copies of Pretend She’s Here can be pre-ordered at this link. For further information, call the library at 860.434.1684 or visit this link. 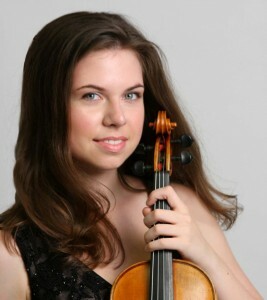 Violinist Tessa Lark will perform in this weekend’s Musical Masterworks concerts. Musical Masterworks will resonate with sounds of the classical guitar in the acoustically perfect First Congregational Church of Old Lyme this afternoon when guitarist Colin Davin makes his Old Lyme debut. Davin will play in collaboration with perennial Musical Masterworks favorite, violinist Tessa Lark, Sunday, March 31, at 3 p.m. 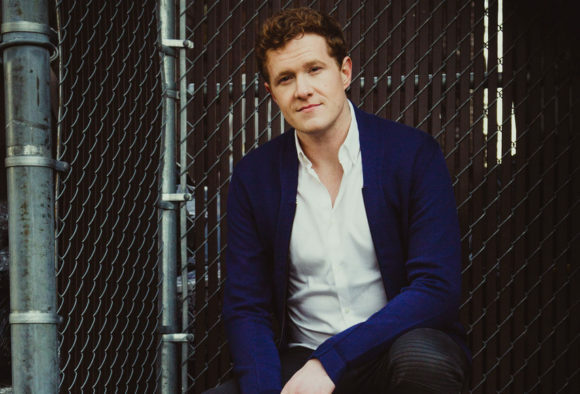 Hailed for his “virtuoso’s technique [and] deeply expressive musicianship,” to quote the American Record Guide, Davin has emerged as one of today’s most dynamic young artists. Join him, along with Lark and Musical Masterworks Artistic Director Edward Arron on cello, in a program that explores the breadth of the guitar-violin-cello repertoire from Bach to the 20th century works of Spanish and South American composers. Musical Masterworks’ season runs through May 2019. Tickets are $40 for adults and $5 for students. “Eagles Over Whalebone Cove” and “Migratory Fish of the Connecticut River” will be the featured topics of guest speakers at the Annual Meeting of Friends of Whalebone Cove (FOWC) on Sunday, March 31, in Hadlyme. The lower Connecticut River Valley has the largest concentration of eagles in the Northeast. 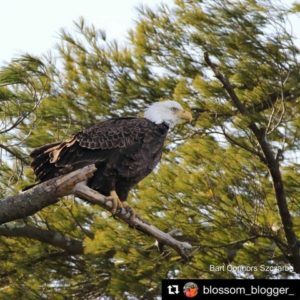 Andrew Griswold, Director of EcoTravel for Connecticut Audubon Society, will talk about why bald eagles in particular are literally flocking to the Connecticut River estuary to make it home. He will also discuss eagle biology and ecology, and other birds living along the River. 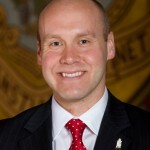 In addition, Connecticut River Conservancy Executive Director Andrew Fisk will provide a presentation on the many migratory fish (and other marine species) that migrate up and down the 410-mile Connecticut River and travel throughout its 11,000 square mile watershed. Fisk will talk about efforts hundreds of miles north of Whalebone Cove to protect and restore the many fish species of New England’s longest river. Friends of Whalebone Cove was formed in 2016 by area residents to help government and private conservation agencies protect the fragile eco-systems in Hadlyme’s Whalebone Cove, which is listed as one of North America’s important freshwater tidal marshes in international treaties that cite the Connecticut River estuary as a wetland complex of global importance. The FOWC Annual Meeting is open to the public, both members and non-members. It will be held at Hadlyme Public Hall, 63 Ferry Rd., Lyme. The meeting will begin at 3 p.m. Refreshments will be served. See Shrek the Musical at Lyme-Old Lyme Middle School this afternoon at 2 p.m.
By all accounts, it’s a wonderful production and the perfect duration for young audiences. It also includes a live pit orchestra. Tickets available at this link or at the door. Lyme Public Library hosts Creatures of the Night with live animals from Dennison Pequotsepos Nature Center on Saturday, March 30, at 2 p.m.
Join wildlife biologist Kris Vagos from the Stewart B. McKinney Wildlife Refuge for an entertaining and informative nature program about nocturnal animals. This family-friendly program about owls, bats, opossums, flying squirrels, and other fascinating creatures of the night will be great for all ages. There will also be live animals at the library, courtesy of Denison Pequotsepos Nature Center. The Lyme Public Library is located at 482 Hamburg Rd, Lyme. Lyme-Old Lyme High School hosts an ‘Open House for Prospective Students,’ Friday, March 29. 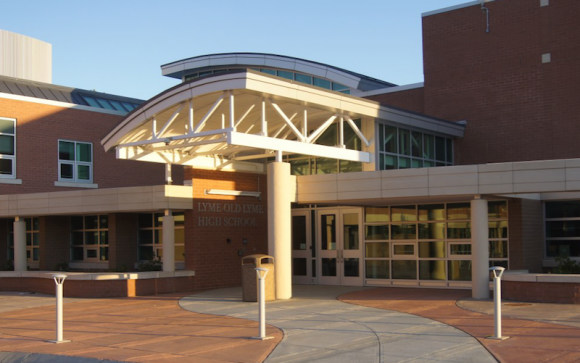 On Friday, March 29, Lyme-Old Lyme High School (LOLHS) welcomes prospective students who do not currently attend a Lyme-Old Lyme School and/or their parents to visit the high school during its Spring Open House for Prospective Students. In order to offer a customized experience for each prospective student and/or their parents, interviews are being offered throughout the day to accommodate varying schedules. Each meeting with a school counselor will be preceded by a student-led tour of the high school. This format is intended to allow all attendees an opportunity to gain a general overview of the school and interact with current students, as well as to obtain answers to individual questions and information on curriculum, student opportunities and more. Last year, LOLHS was named to the College Board’s US and Canada AP® District Honor Roll and consistently places in the top 10 percent in Connecticut SAT and SBAC scores. Year after year, LOLHS graduates are accepted into a wide range of diverse and highly selective schools across the US and in some cases, internationally. The Lyme-Old Lyme School system has become a pipeline to the Ivy League schools and the “Little-Ivies” including such schools as Duke, MIT and Stanford. 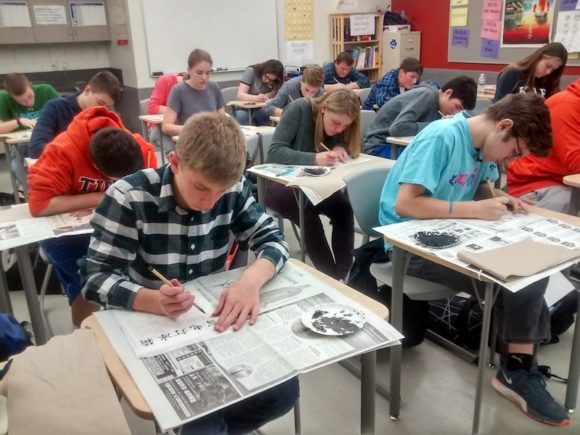 Students hard at work in a Chinese class at Lyme-Old Lyme High School, where it is a popular elective subject. Facilities at the high school are exceptional with state-of-the-art technology implemented throughout the building thanks to a $49 million renovation project completed in 2014. The math, science, language, and technology and engineering areas along with the art, music, drama and athletic facilities are of a quality and sophistication that resembles a college environment, rather than a high school. Current enrollment at LOLHS is 462 students across Grades 9 through 12 and the average class size is between 15 and 18. The school offers a full spectrum of core subjects taught in-house, including 17 Advanced Placement subjects, and also an extensive range of online classes taken through the Virtual High School program. Students also have the option to pursue the acclaimed Techno-Ticks robotics program along with more than 35 other extra-curricular clubs. The Lyme-Old Lyme High School Band has an exceptional reputation..
Lyme-Old Lyme High School enjoys exceptionally strong music, drama and art programs, which have been recognized with numerous awards both at the state level and nationally. The school’s athletic program has similarly received innumerable honors over the years and is proud to have several past, present and future Olympians among its alumni. If you would like to attend this informative event, call Glynis Houde at 860-434-2255 to schedule your appointment. For further information, contact Tracy Lenz, Director of Guidance, at 860-434-2255 or lenzt@region18.org or James Wygonik, LOLHS Principal, at 860-434-1651 or wygonikj@region18.org.